A strong partner in all control technology areas. Thanks to our partners in regulation and control technology, CTB Automatisierungstechnik GmbH, we can rely on a competent and experienced contractor in that respective field. The decade-long experience of the company allows us to automate every biogas or biomass facility. 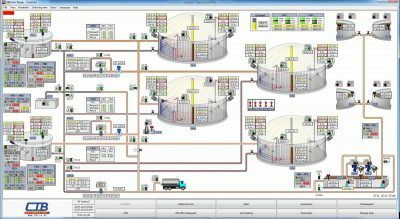 Individual visualisation on either PC or directly on the facility makes it possible to control it directly, even comfortably from home. 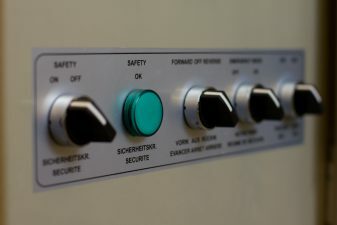 Our control technology package also includes the whole of the control cabinets, which are delivered to the location and installed by experienced technicians. The whole facility is then put in operation electrically. You can find more information on our partner company CTB here! automation of the HIGHEST industrial standard is absolutely necessary. We accompany you from the first step of planning towards operation and also provide support with wholesomely concepted all-in-all solutions for the control of your biogas plant. No matter if regulation has to happen directly at the end consumer or in your heating center: We’ll provide you with a tailor-mode program in control technology for your biomass plant.